Have a told you how much I love indie grab bags? I know, I know, I've told you countless times. I was recently gifted another Different Dimension one in a recent gift exchange and this was one of the stunners in the grab bag. This polish was made as a part of charity auction last year. 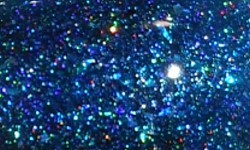 Yeti Goes Stargazing is a rich blue-teal base with scattered holo and shredded glitter mixed in. Color: This is one of the most richly pigmented holographic polishes I've come across. It is absolutely stunning. I love the richness and saturation of this blue-teal color. I love jewel-tones and they make amazing bases for holographic colors. Formula: Excellent formula I used 2 coats here. It applied easily and smoothly. Price: N/A. The only way I assume you can snag this one now is through luck with a grab bag like I did. 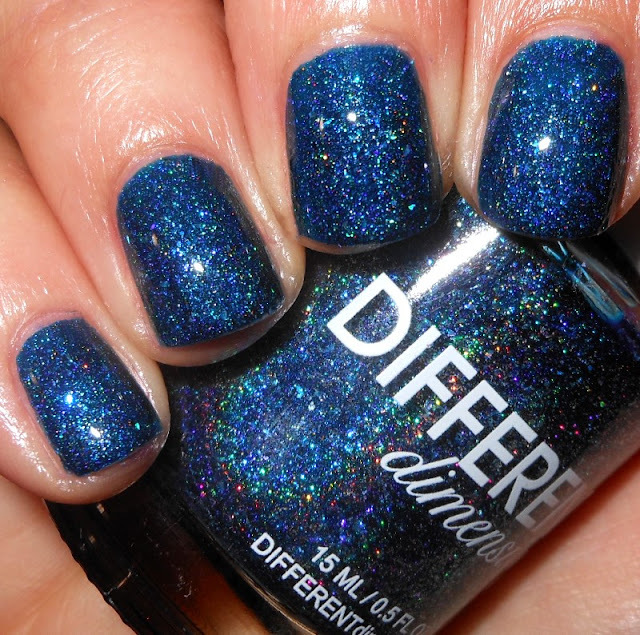 Overall: Different Dimension really knows how to make holographic polishes. They're definitely on my very short list of indies who make my favorite holos. They always have some special touch added either through glitter or flakies that keep them from just being ordinary holos. The color itself in this is gorgeous, but the other added holo bits and bobs gives this polish depth and pizazz.